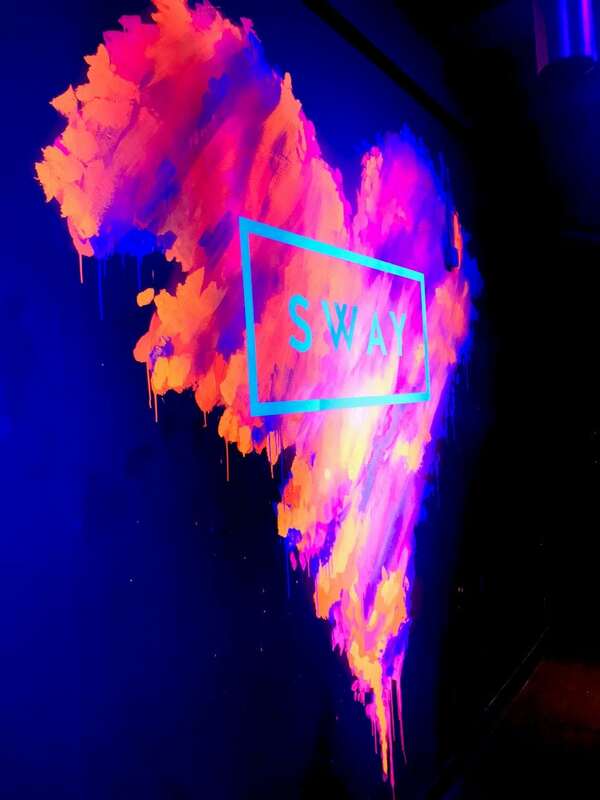 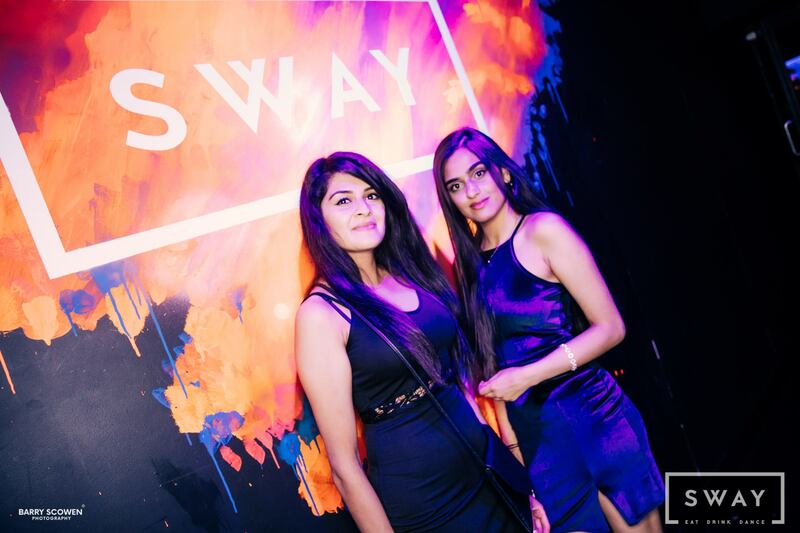 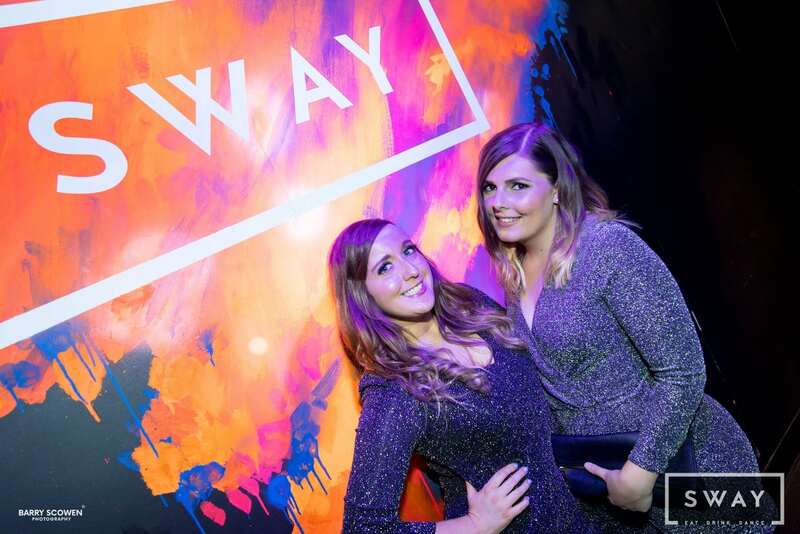 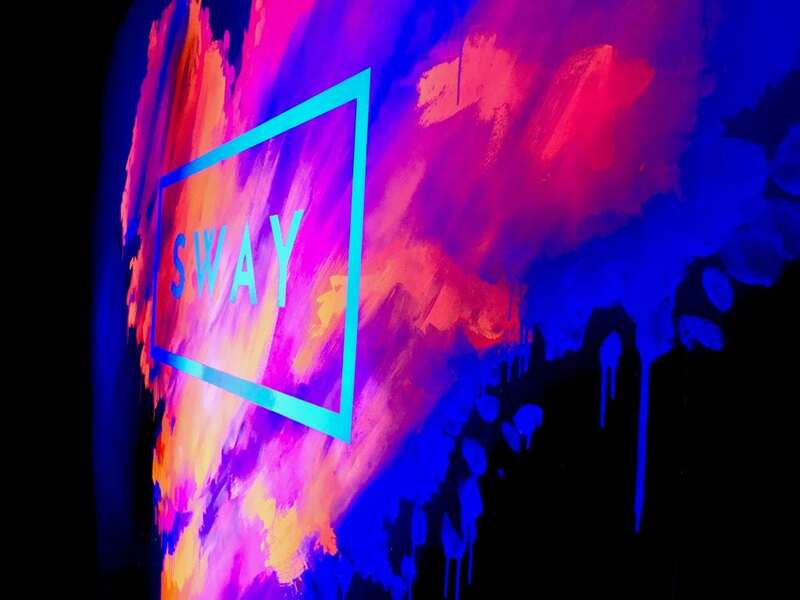 To create a vibrant branded art piece for the entrance to the nightclub area at Sway in Covent Garden. 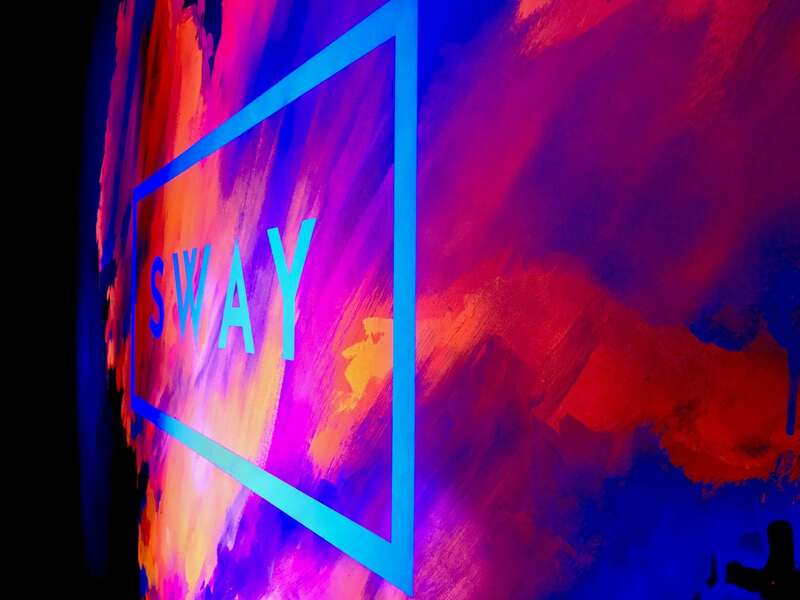 It needed to both brighten up the entrance area which was very dark, but also help to reinforce the Sway brand. 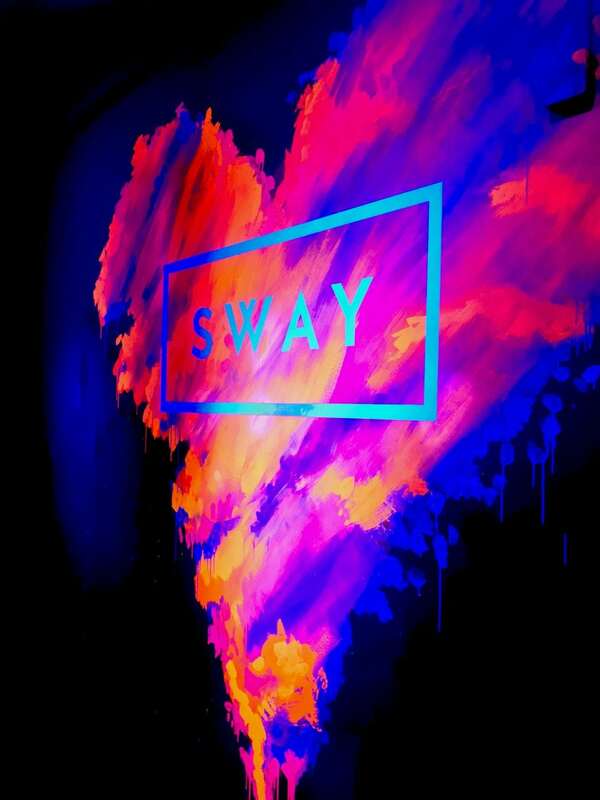 We designed and hand-painted a large multicoloured drip effect heart design incorporating the Sway logo. 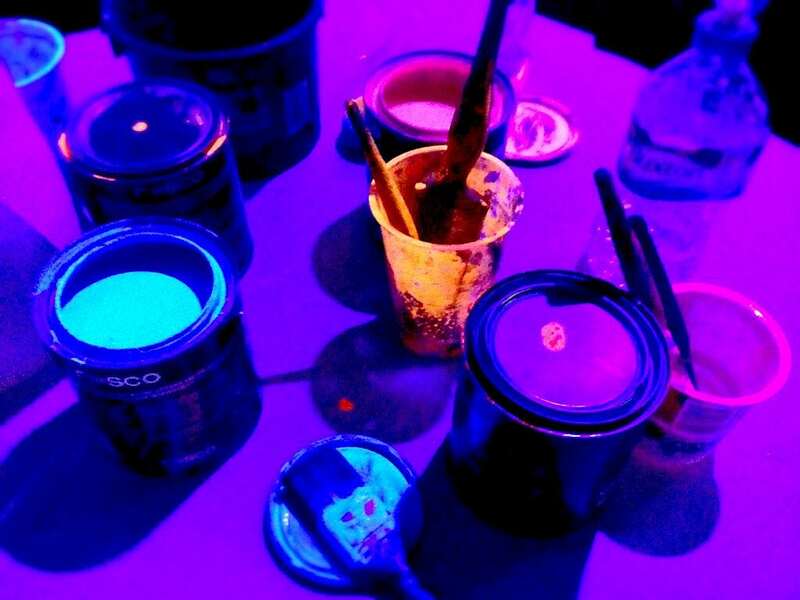 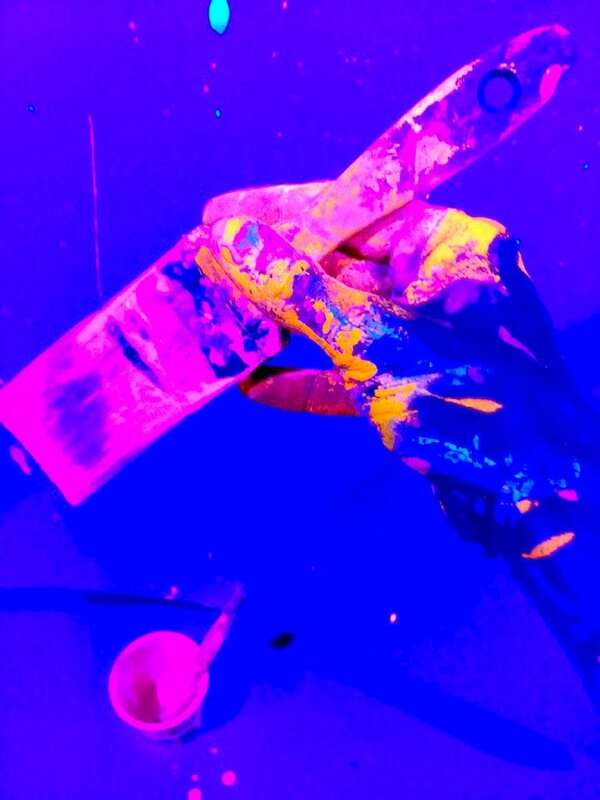 UV paint was used to create a standout art piece from the black background. 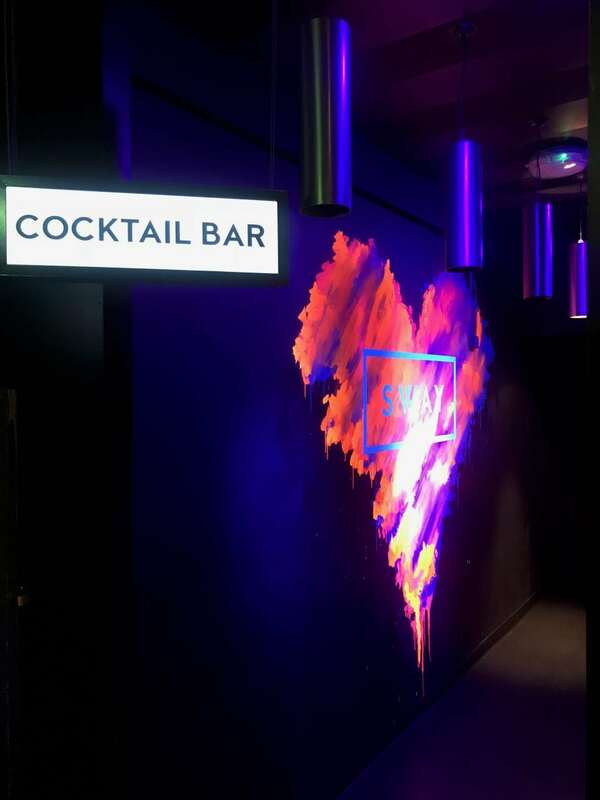 The resulting art piece delivers great branding, brightens up the space and is often used as a backdrop for customer photos on the club’s social media pages.